BCB6117 BORG & BECK CV JOINT BOOT KIT fits Nissan Navara 05- NEW O.E SPEC! BRAKE CALIPER. BOOTKIT / GAITER. carefully before ordering any Goods or Services from us. By ordering any of the Goods or Services. Volkswagen ABS Ring. Nissan ABS Ring. Suzuki ABS Ring. Hyundai ABS Ring. NUOVO GIunto Omocinetico Land Rover Discovery I Range Rover Classic macchine con ABS. o ritiro in zona gratuito. BRAKE CALIPER. BOOTKIT / GAITER. carefully before ordering any Goods or Services from us. By ordering any of the Goods or Services. 12/2001>12/06. Volkswagen ABS Ring. Nissan ABS Ring. Suzuki ABS Ring. 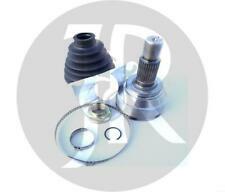 Land rover 90 110 130CV Joint Kit. Any item which has failed will be subject to their inspection. The manufacturer's decision on any warranty claim is final. will fit all D efenders non ab s from vin LA930456. LAND ROVER DISCOVERY 3 & 4 FRONT CV. Will fit all defenders non ab s with 23 spline CV. 10 spline at axle. 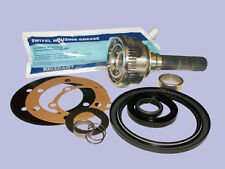 Land rover 90 110 130CV Joint Kit. Any item which has failed will be subject to their inspection. The manufacturer's decision on any warranty claim is final. OE Part number for reference only :- TDJ000010. Wheel Nuts Hi lift jacks & Acc. Tyres Safari Snorkes Defender Parts Discovery Parts Range Rover Parts Wheels Tools Gift Ideas Series Discovery 1 89-93 Discovery 1 94-98 Discovery 2 99-04 Range Rover Classic Range Rover P38 Range Rover l322 Freelander Discovery 3 Defender 90 & 110. LAND ROVER DEFENDER 90/110/130 NON ABS CV JOINT KIT (24 SPLINE) **FOR DEFENDER MODELS FROM CHASSIS NUMBER LA930456** PART NUMBER - DA6059 All our items are high quality replacement parts. Manufacturers part numbers are used for identification purposes only. **** PLEASE READ OUR WARRANTY, RETURNS DELIVERY TERMSBEFORE BUYING. Suitable for all Land Rover Discovery 2 models. Here we have a quality CV joint kit. BOOTKIT / GAITER. carefully before ordering any Goods or Services from us. By ordering any of the Goods or Services. BRAKE CALIPER. Volkswagen ABS Ring. Nissan ABS Ring. Suzuki ABS Ring. Hyundai ABS Ring. LAND ROVER DEFENDER DISCOVERY 1 CV JOINT 24 SPLINE **FOR DISCOVERY 1 MODELS FROM 1994 - 1998****FOR DEFENDER MODELS CHASSIS NUMBER 1994 - 2006** PART NUMBER - TDJ000010 All our items are high quality replacement parts. Manufacturers part numbers are used for identification purposes only. **** PLEASE READ OUR WARRANTY, RETURNS DELIVERY TERMSBEFORE BUYING. DA6057 CV Joint Kit. Part Number: DA6057. Land Rover Defender New Full CV Joint Kit (23 Spline). Land Rover Defender 90, 110 & 130. Defender Parts. Suitable for: (Non ABS / 23 Spline). 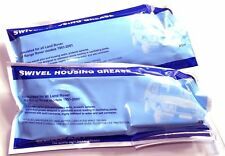 Series 2 & 3 - Defender 90/110/130, Discovery 1,2,3,4,5 & Sport - Freelander 1 & 2 - Range Rover Classic, P38, L322, L405, Sport & Evoque. OE Part number for reference only :- AEU2522. Wheel Nuts Hi lift jacks & Acc. Tyres Safari Snorkes Defender Parts Discovery Parts Range Rover Parts Wheels Tools Gift Ideas Series Discovery 1 89-93 Discovery 1 94-98 Discovery 2 99-04 Range Rover Classic Range Rover P38 Range Rover l322 Freelander Discovery 3 Defender 90 & 110. At Genuine Parts UK NI LTD, we speacialise in getting the parts you need fast and hassle free, all of our parts are genuine, we will work with you as fast and efficient as we can to service your needs. Part Number: TDR500080. 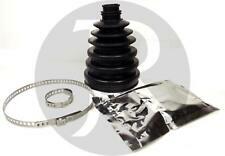 Land Rover Discovery 3 Rear Drive Shaft CV Gaiter Kit. FREE CARRIAGE APPLIES TO MAINLAND UK ONLY. Carriage costs. Suitable for all Discovery 3 models with locking diff. Pictures are for reference only and specifications may alter without notice. Defender 90, Defender 110 (NOT NAS) All modals 1991 - 1993 33 Spline. Constant Velocity Joint. Independent Land Rover Specialists. BRAKE CALIPER. BOOTKIT / GAITER. carefully before ordering any Goods or Services from us. By ordering any of the Goods or Services. 4.4 D MANUAL 7 AUTO FROM 7/2010 TO> 8/2012. 3.6 D MANUAL & AUTO FROM 4/2006 TO> 8/2012. Will fit all Discovery series 2. Any item which has failed will be subject to their inspection. The manufacturer's decision on any warranty claim is final. Part Number: TDJ000010. All Defender models from LA930456 upto 2007 (24 Spline Diff). All Discovery 1 models from JA032851 (24 Spline Diff). FREE CARRIAGE APPLIES TO MAINLAND UK ONLY. Pictures are for reference only and specifications may alter without notice. BRAKE CALIPER. BOOTKIT / GAITER. carefully before ordering any Goods or Services from us. By ordering any of the Goods or Services. 2.0 Turbo Diesel 96bhp. Volkswagen ABS Ring. Nissan ABS Ring. Suzuki ABS Ring. OE Part No:- LR014147. Wheel Nuts Hi lift jacks & Acc. Tyres Safari Snorkes Defender Parts Discovery Parts Range Rover Parts Wheels Tools Gift Ideas Series Discovery 1 89-93 Discovery 1 94-98 Discovery 2 99-04 Range Rover Classic Range Rover P38 Range Rover l322 Freelander Discovery 3 Defender 90 & 110. 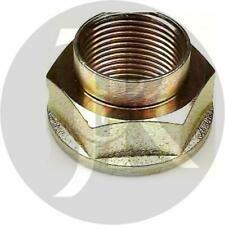 (Hub Stake Nut for the Front or Rear Hub of the. FREELANDER 1996 - 2006. LAND ROVER DISCOVERY 2. Genuine Land Rover. 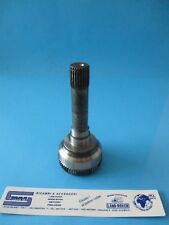 Land Rover Part Number : CDU1534L. RANGE ROVER 1994 - 2001. This will slow down the dispatch of your parcel.). Part Number: DA6058. Land Rover Defender. This will fit all Non ABS Defender models with 32 internal splines. CV Joint Kit. This kit contains all you need to change your cv joint. FREE CARRIAGE APPLIES TO MAINLAND UK ONLY. Part Number: DA6063. Land Rover Discovery 2. CV Joint Kit. This kit contains all you need to change your cv joint. Pictures are for reference only and specifications may alter without notice. Product specifications are given but it is up to the end user to ensure that the product is fit for that purpose. Part Number: DA6059. Land Rover Defender. This will fit all Defender models from chassis number LA930456. CV Joint Kit. This kit contains all you need to change your cv joint. Pictures are for reference only and specifications may alter without notice. LAND ROVER TDJ000010. Function Joint, drive shaft. External Teeth, Wheel Side 24. LAND ROVER DEFENDER Pickup (L316) 2.5 Td5 4x4 (L316) Pickup Diesel 06/1998 02/2016 AWD 10 122 90. Fitting Position: Wheel Side; Chassis no. With 32 spline cv and 10 spline axle spline at Diff. 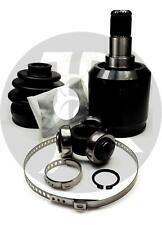 Land rover 90 110 130CV Joint Kit. Any item which has failed will be subject to their inspection. The manufacturer's decision on any warranty claim is final. Function Joint, drive shaft. External Teeth, Wheel Side 28. Fitting Position: Wheel Side; Fitting Position: Rear Axle; Chassis no. from: 1A352376. Fitting Position: Wheel Side; Fitting Position: Front Axle; Chassis no. Equivalent to Land Rover TDR100780 (used for reference only). 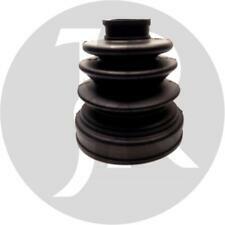 Front Outer CV Joint Gaiter Kit. PARTS >> ACCESSORIES >> DEFENDER SERIES DISCOVERY 1 1989 to 1998 DISCOVERY 2 1999 to 2003 DISCOVERY 3 2005 to 2009 DISCOVERY 4 2010 to 2016 DISCOVERY SPORT 2015 on FREELANDER 1 1996 to 2006 FREELANDER 2 2006 to 2014 RANGE ROVER CLASSIC RANGE ROVER P38 RANGE ROVER L322 2002 to 2012 RANGE ROVER L405 2013 on RANGE ROVER SPORT RANGE ROVER EVOQUE UPGRADES >> TOOLS,OILS AND OTHER DIY >> Books Manuals and Gifts. BRAKE CALIPER. BOOTKIT / GAITER. carefully before ordering any Goods or Services from us. By ordering any of the Goods or Services. Vin Number. LAND ROVER TDJ100470. Function Joint, drive shaft. Fitting Position: Wheel Side; Fitting Position: Front Axle; Chassis no. to: 1A999999. ; Also fits:- ;Fitting Position: Wheel Side; Fitting Position: Rear Axle; Chassis no. Equivalent to part number STC3051R, TDJ000010R. Defender 90, Defender 110(NOT NAS) All models 1994 - 2003 with ABS, 24 Spline. Constant Velocity Joint. Independent Land Rover Specialists. Discovery 1 All models 1992 - 1999 with ABS. BRAKE CALIPER. BOOTKIT / GAITER. carefully before ordering any Goods or Services from us. By ordering any of the Goods or Services. 8/2000>12/06. 1.8 Petrol. Volkswagen ABS Ring. Nissan ABS Ring. 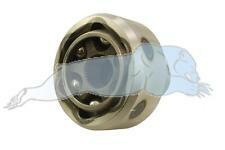 Part Number: TDR500210. Land Rover Freelander 1 From 1A Inner CV Boot / Gaitor Kit. Suitable for all Freelander 1 models from 1A000001. FREE CARRIAGE APPLIES TO MAINLAND UK ONLY. Pictures are for reference only and specifications may alter without notice. BRAKE CALIPER. BOOTKIT / GAITER. carefully before ordering any Goods or Services from us. By ordering any of the Goods or Services. Vin Number. Volkswagen ABS Ring. Nissan ABS Ring. Suzuki ABS Ring.